Many of us love visiting the tropical islands around South East Asia because of the sunny beach-es and rustic island resorts. As an outdoor enthusiast myself, I have visited more than 20 different islands and seen my fair share of sandy shores. A little piece of land sitting on the Sulu Sea and just a 45 minutes boat ride from Sandakan, Li-baran Island belongs to the kind of mystical lands where National Geographic adventures are filmed. 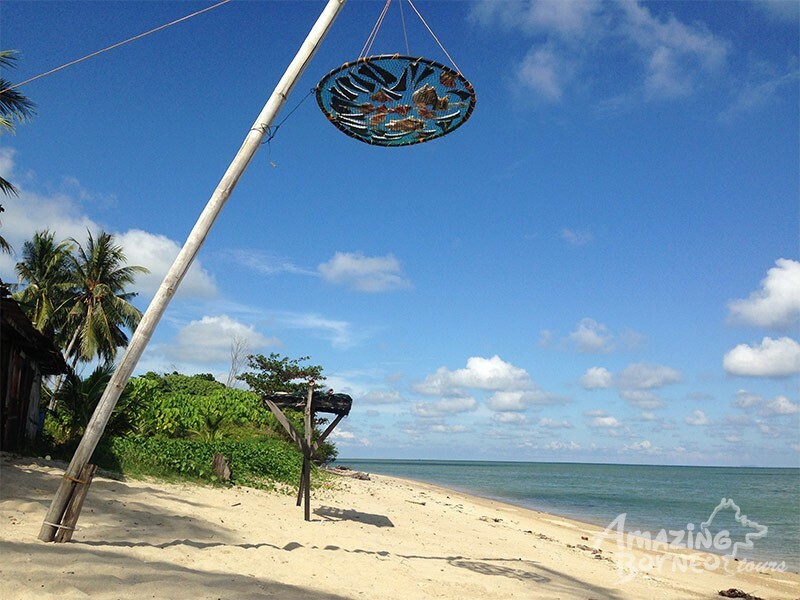 Here’s 7 Compelling Reasons Why Libaran Island needs to top your list of S.E.A. islands to visit! 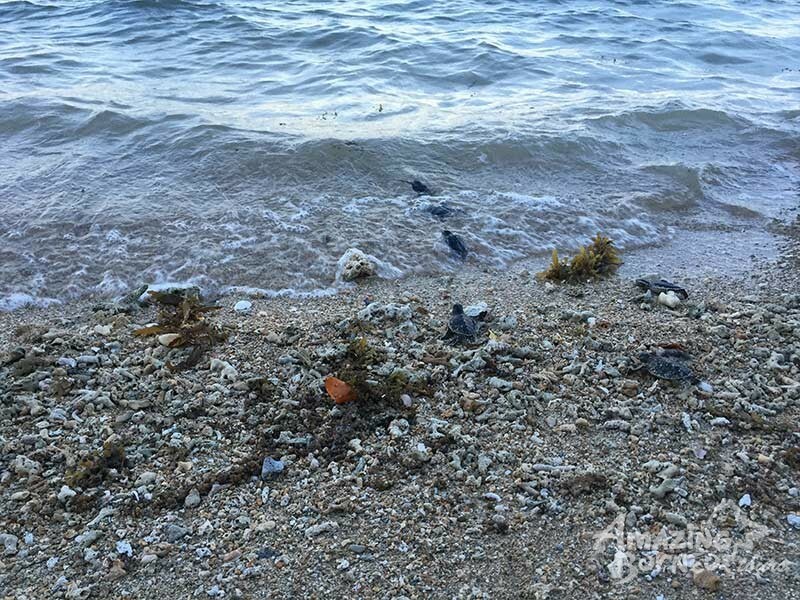 As a recognized Turtle Conservation Hatchery, Libaran Island is one of the few protected areas in this part of the world where Pacific Green Turtles and Hawksbill Turtles come on shore to lay eggs almost every other night. 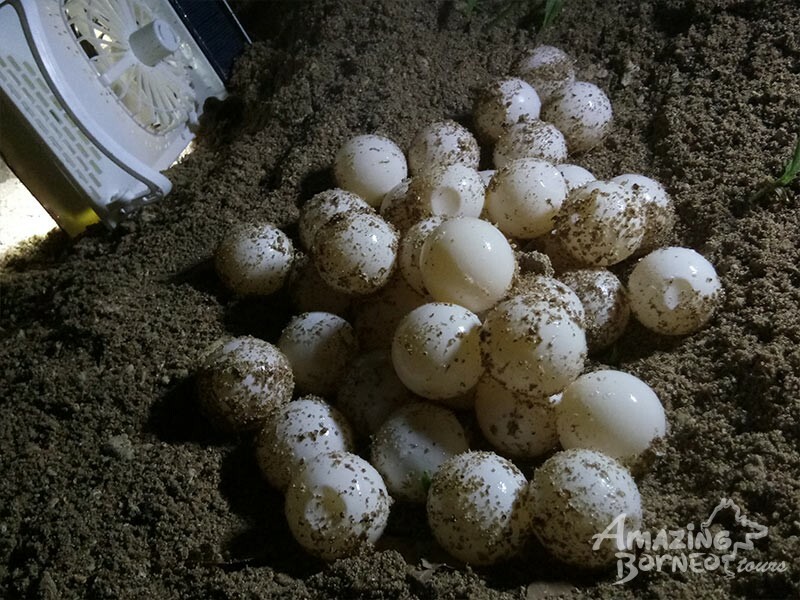 We were mighty fortunate, as a mother turtle decided to come vis-iting on the night of our stay - and laid a total of 134 eggs! How many Islands give you the frequent opportunity to witness a giant Turtle nesting under the cover of darkness? Very few indeed! A National Geographic moment - Watching the Pacific Green Turtle dropping eggs into the hole she had dug! 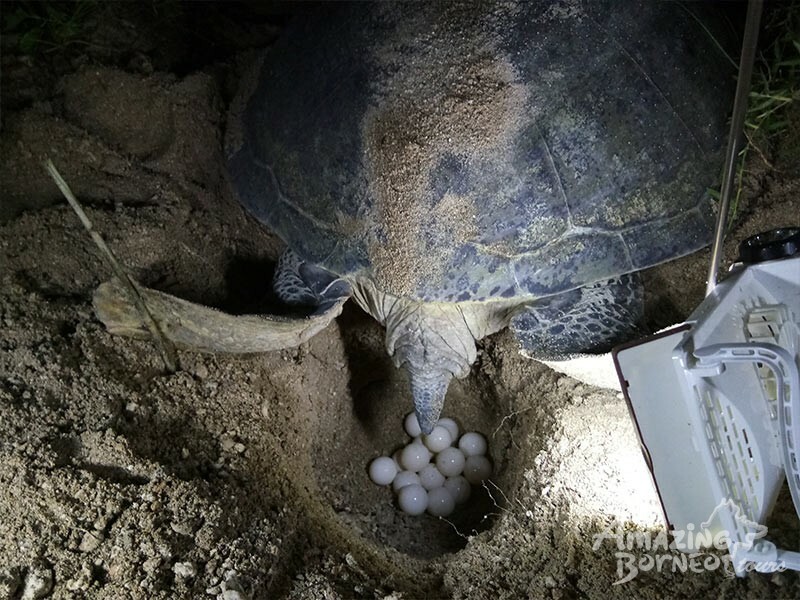 The eggs are relatively soft-shelled and the size of golf balls. Do note, however, that wildlife sightings are NOT guaranteed. So, come and visit Libaran Island with tons of hope and zero expectations. Of course, if there are mother turtles laying eggs on shore, there eventually would be baby turtles as well! 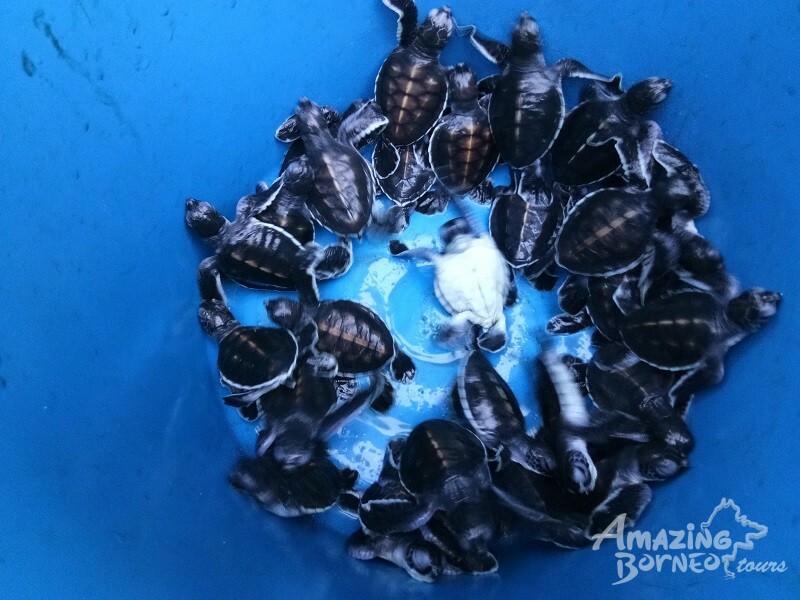 If the timing of your visit to Libaran Island is right, there may be a batch of turtle hatchlings just ready to be released into the sea by the Turtle Conservation Ranger. The cute little Turtle Hatchlings ready for their “Graduation Day” from the safety of the sand to the dangers of the sea! The baby turtles scrambling to the sea on their little flippers as fast as possible. This is their most vulnerable moments on the open beach, as they may be spotted by the hungry hawks circling in the sky above. You get to participate in this phenomenal event by ensuring no wild predators from land or sky attacks the little turtles during their dash to the ocean! 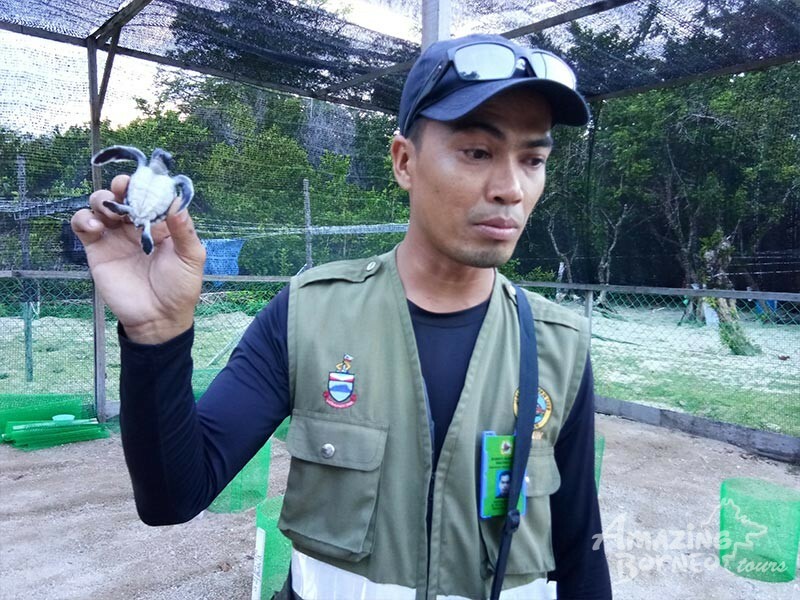 Remember, ONLY the ranger (wearing the jacket) is allowed to touch the turtles - regardless how cute and adorable the little hatchlings are, we need to respect the wildlife and limit human contact as much as possible. 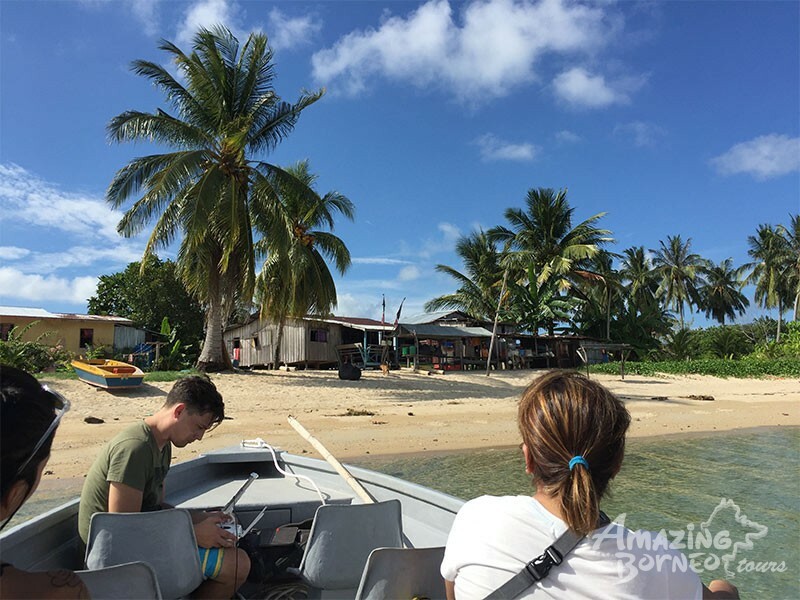 During the 2D1N Libaran Island Stay package, you will visit the local fishing village and be ac-quainted with the charms of the ultimate islander life. It is a rare treasure to find a place as un-touched by commercialism and technology as this. Approaching the Fisherman Village via boat, kampung (Malay for “Village”) houses are visible in the background. When was the last time you saw villagers drawing up water from wells for their daily use rather than using tap water? 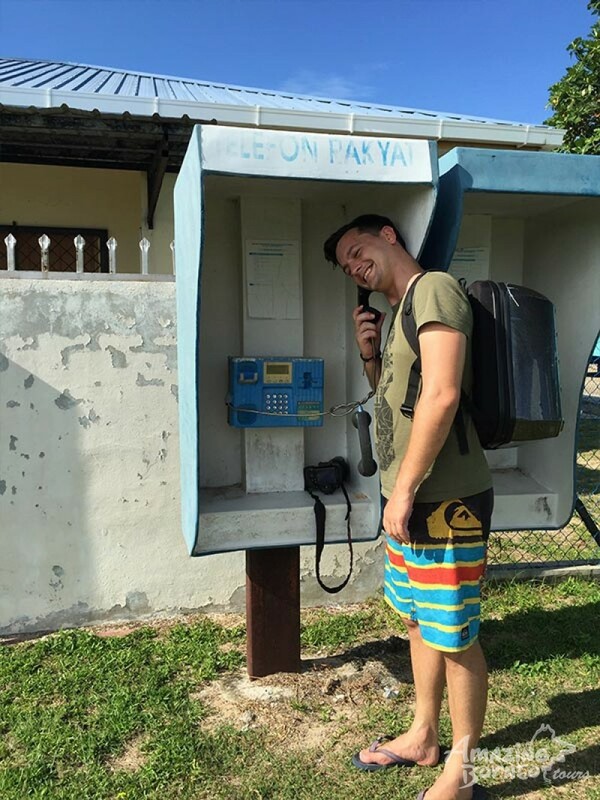 Quaint blue telephone boxes still exist on this island - flashback to the previous century! Fish drying in the sun before being sold to the Sandakan Market. When you order a coconut at a typical island store, most people expect the store owner to open the fridge and hand one to you. Not here! On Libaran Island, the store owner shimmies up the nearest coconut tree with a “parang” (knife) and chops down the tropical fruit according to your orders! It certainly can’t get any fresher or more exotic than that! 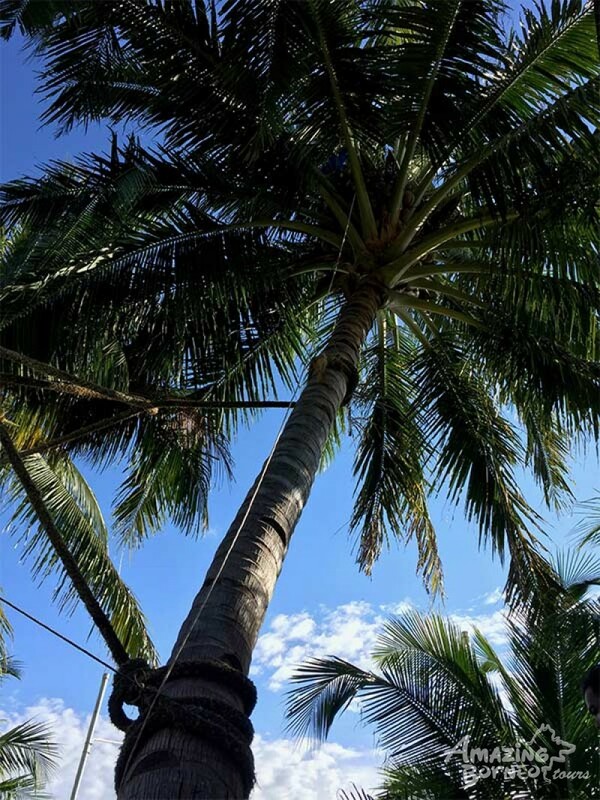 If you look closely, you can see a man up in the tree above the coconut fruits! 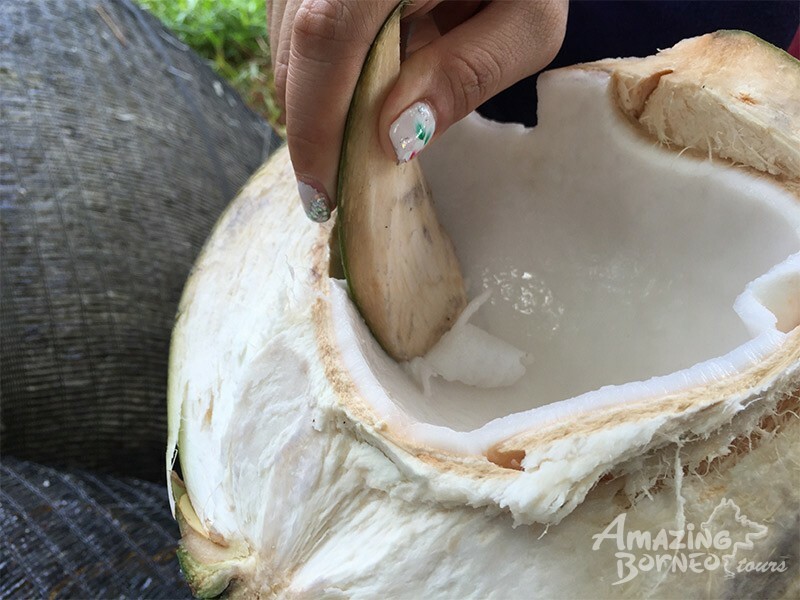 After you have finished drinking the coconut juice, the locals then chop open the coconut and fashions a spoon from the husk for you to dig out the soft coconut flesh! Feeling a tad adventurous and romantic at the same time? This would make the perfect spot to create memories of a lifetime. We couldn’t capture any photos of this amazing wonder, but our friends swimming in the ocean after nightfall were excitedly playing with the bioluminescent plankton! While you can also spot this at other times during a night dive once you turn off the dive lights, Libaran island gives a total-ly different feel as you bathe in the inky ocean with starry skies above and an equally starry sea below. An island with good internet connection = near to civilization! Libaran Island stays true to its islander life reputation by having terrible phone and internet signals. What’s the beauty in that? Getting to truly enjoy and soak in the exotic nature without being interrupted by phone calls or message beeps! It also allows the fun activity of Signal Hunting together with other city folks! Lastly but certainly not least - Libaran Island offers a holistic glamping experience! Comfortable beds, carpets, and a bedside table are not the usual finds inside a tent, but Walau Penyu Resort offers these luxuries and more in the overnight package. 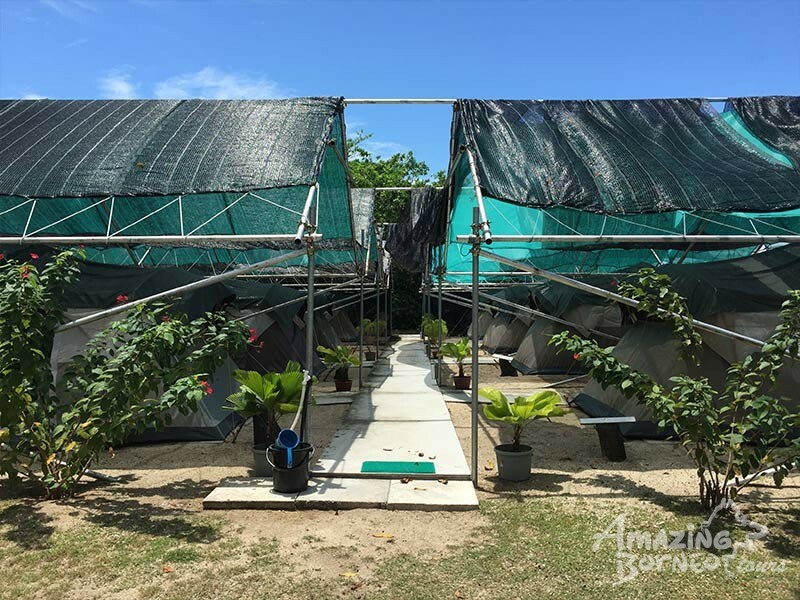 The spacious tents are innovatively set up to prevent direct hot sunlight as well as provide protec-tion from rain. 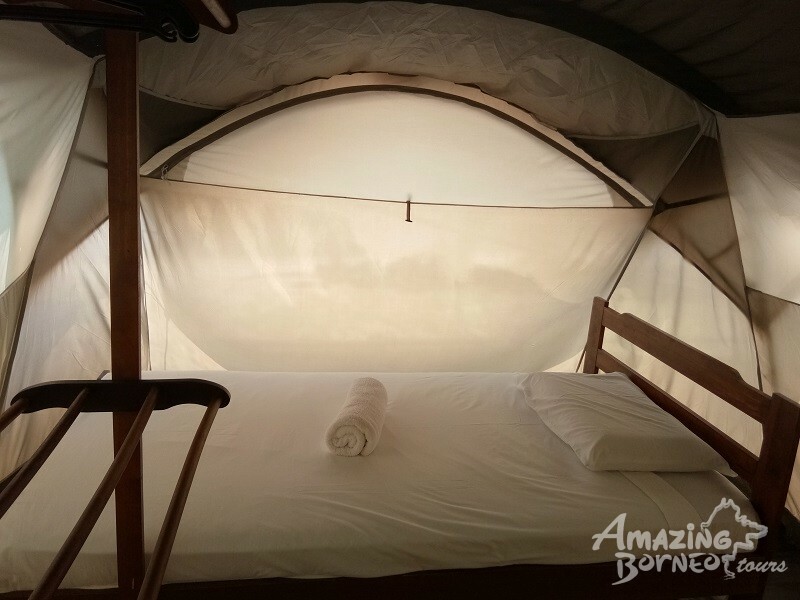 Twin beds or a Queen bed can be arranged inside the spacious tents. 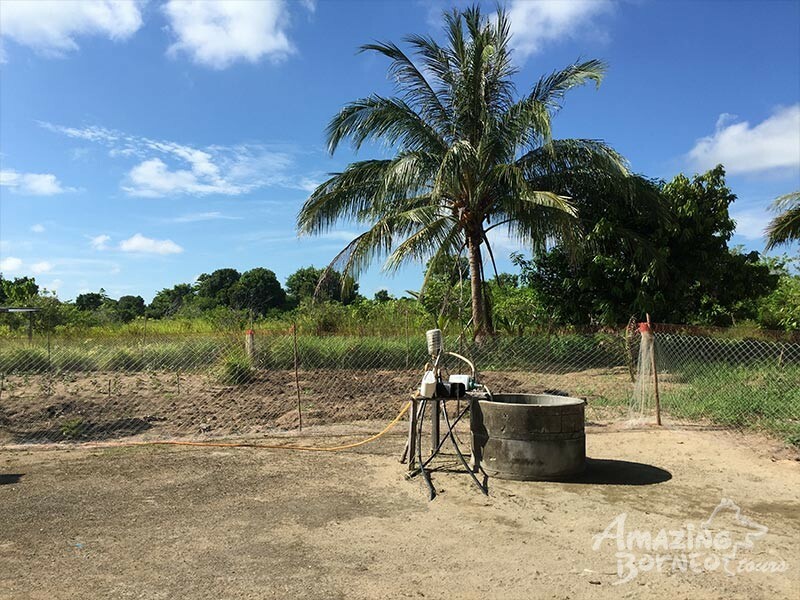 Right beside the camping grounds, public toilets are also available which are surprisingly clean and well-maintained. 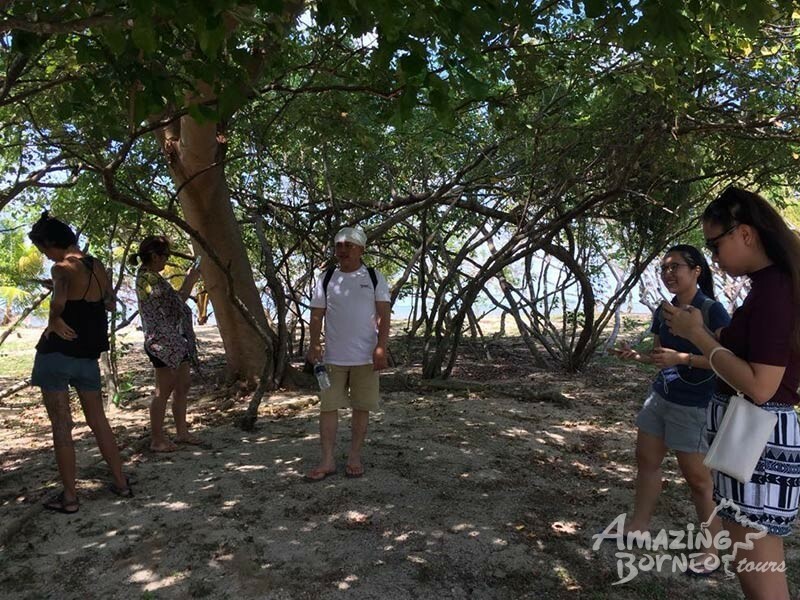 You can also enquire with an Amazing Borneo Travel Consultant on the best way to include a stay on Libaran Island into your entire Borneo Journey if you plan to spend a couple of weeks ex-ploring East Malaysia (Sabah and Sarawak)! Useful Tip: If you are someone who is prone to getting bitten by insects during your outdoor ad-ventures, your insect repellent will be your best friend on this island. Make sure you keep yourself well-covered during this brief encounter with exotic Libaran!